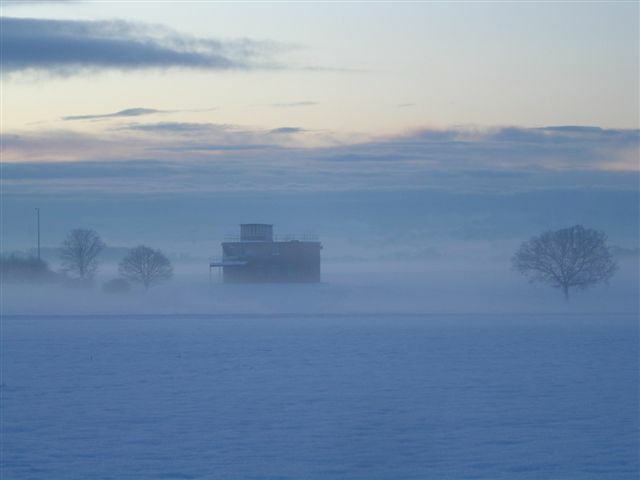 The tower had been left to deteriorate up until 2000 when it was then decided it should be brought back to its former glory. Over the past few years, with the help from Volunteers, it has been set out to resemble how it looked when the Americans were stationed within its walls. 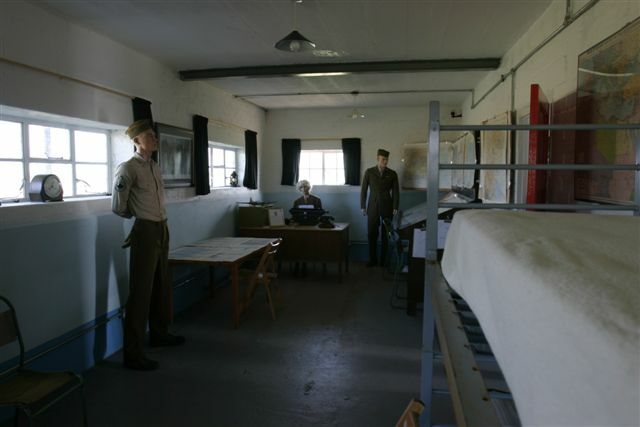 With the help of Veterans who worked in the Tower, the rooms have been recreated with the same colours on the walls and the same usage of the rooms with the exception of the one at the top of the stairs. 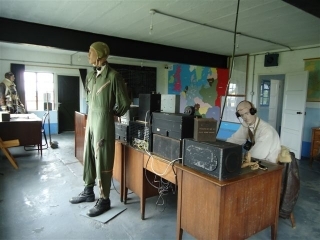 This room would have been yet another office but it was felt, it would be more informative to re-create a typical RAF plotting room such as those used in the Battle of Britain in controlling the spitfires and hurricane fighters. 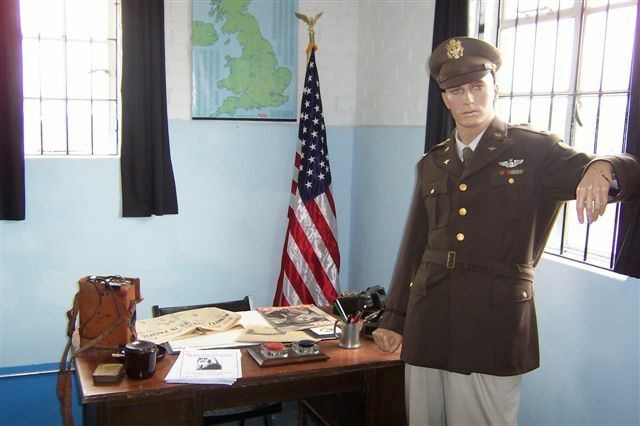 Most of the other rooms have their original use, with many mannequins dressed in the uniforms of the 8th Army Air Force. Phones, typewriters and the day to day essentials abound and a Doll’s Eye telephone exchange is situated on the ground floor. On the passageway walls you will find the squadron boards which show photographs and names of a selection of the air crews. A veteran tail gunner, Jack Rude, who has returned to Debach regularly, has his own pictorial board. 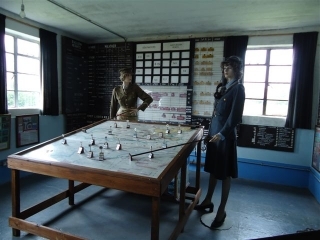 The Operation Room upstairs would have been buzzing with activity, with on duty officers and waiting pilots looking out for the return of their comrades.On show, a large wall map displays the location of the targets of each mission. Along side the details of the missions are listed. The fire and weather room downstairs would have been on constant alert, hence the beds and would have been manned around the clock. The windows in this room are much higher and less tall – the reason for this was that should an aircraft crash, the damage inside would be less harmful. Up on the roof the view is amazing and in wartime would be the best vantage point to watch for returning craft. There is also a cupola on the roof for shelter when the weather was less than pleasant. Inside the cupola is a diorama showing all the runways and buildings. For a further selection of photographs see the museum gallery.